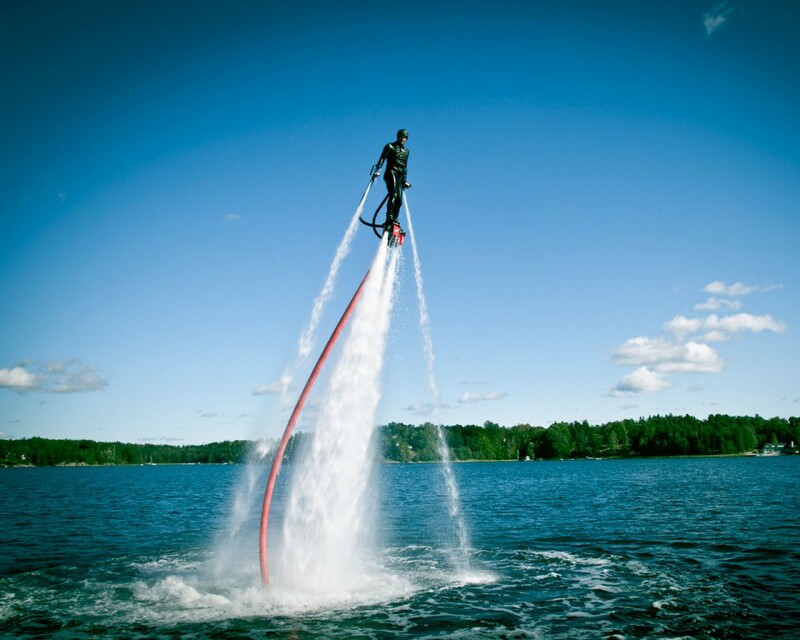 Whether powered by jet packs or taking the capabilities of the human body to whole new depths (literally,) these water gadgets and activities multiply the fun and danger of more conventional water sports like surfing and wake boarding. 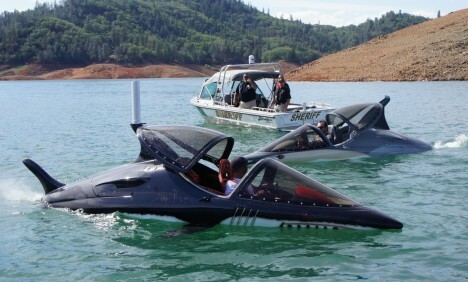 A shockingly realistic shark-shaped personal watercraft jumps out of the water, an Iron Man suit propels you high up into the air and a water ‘wing’ lets you fly beneath the surface. 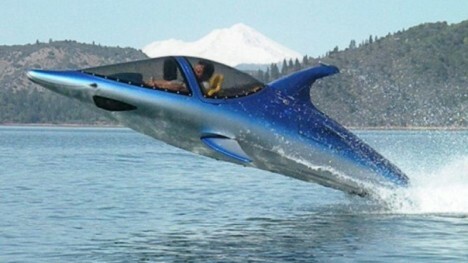 Designed to look like sailfish, killer whales, sharks and other large sea creatures, the Seabreacher is actually a two-person underwater vehicle dubbing itself “the ultimate diving machine.” It looks pretty insane when it bursts up out of the water in a dramatic leap, and has likely terrified more than a few nearby boaters when spotted doing so in the wild. 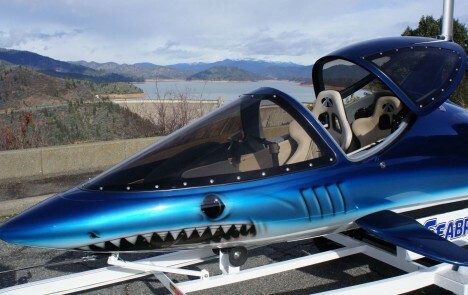 An acrylic canopy and underwater view ports give the pilot and passenger a nearly 360-degree view as they ‘fly’ through the water. The dorsal fin acts like a snorkel during the 5-10 second periods in which you dive below the surface to a depth of 5-6 feet. 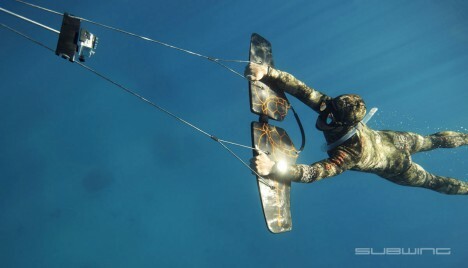 Have you ever gone wakeboarding and wished that you could dive below the surface of the water temporarily while being pulled behind the boat? 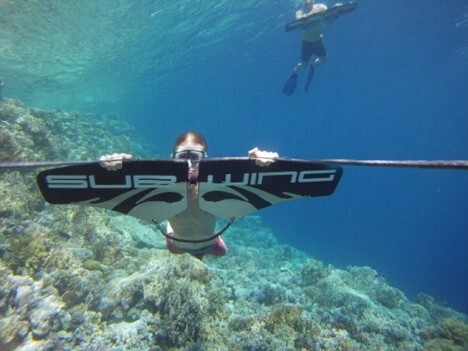 A device called the Subwing makes that possible with a twistable joint in the center of a fiberglass or carbon fiber board towed behind a boat. 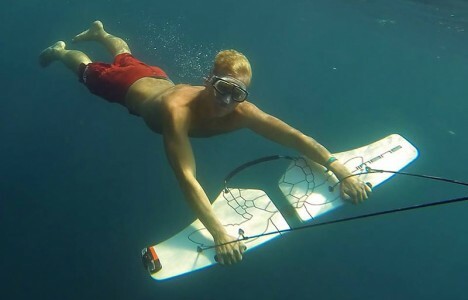 Just angle the board so you dip under the water and stay under for as long as you like, using the bend in the board to steer, before popping back up. 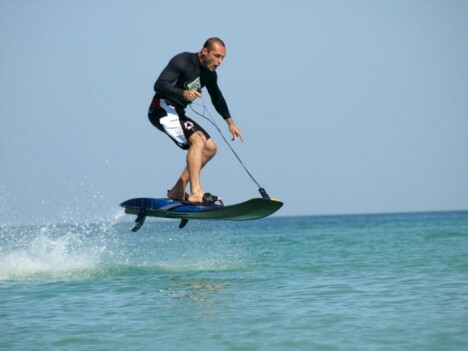 Add a jet ski engine to a surfboard and what you get is a JetSurf, an ultralight carbon and kevlar board that can reach a top speed of 35mph and carry a 3-liter fuel tank that’ll take you on a 45-mile trip. It weighs about 30 pounds, it’s fairly compact and it floats. 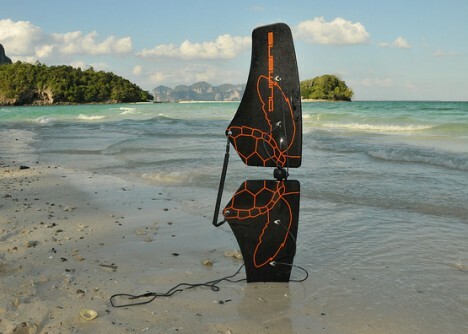 The experience is intended to be a sort of super-powered version of surfing. The prices start at $12K. 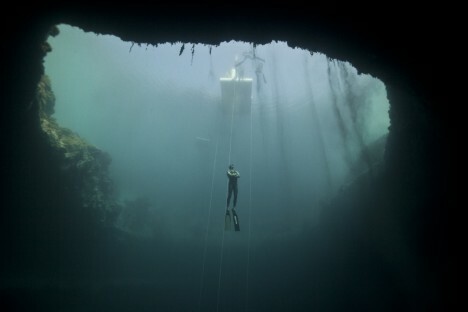 Free diving is incredibly dangerous and strikingly beautiful to watch, as evidenced by this video of fearless diver Guillame Néry reaching the bottom of the world’s deepest salt water blue hole attests. Dean’s Blue Hole is an amazing 603 feet deep. 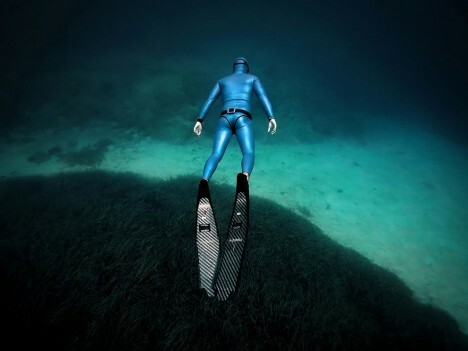 Free divers are able to hold their breath for far longer than most people, relying on the capacity of their own lungs rather than breathing apparatus like scuba gear. 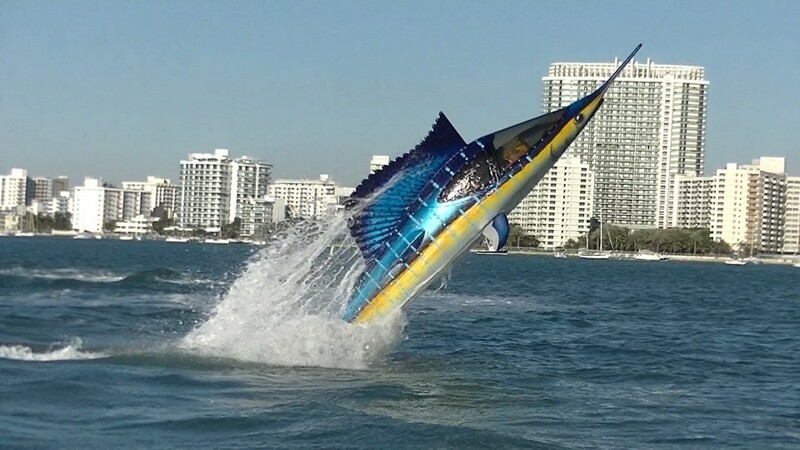 It’s undoubtedly exhilarating, and there are dozens of things that can go terribly wrong. 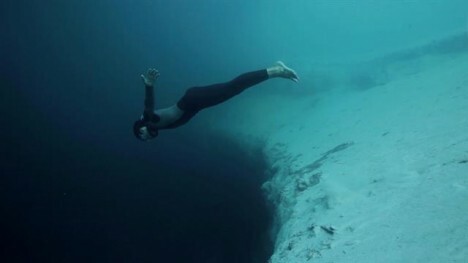 The world’s greatest free diver, Natalia Molchanova, disappeared in the Balearic Sea in 2015 after failing to surface from a recreational dive. It’s likely that she was swept away by a strong underwater current.